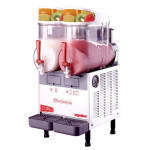 The Grindmaster-Cecilware MT2UL, a FrigoGranita frozen drink machine, is part of the MT Standard series. This model has two 21⁄2-gallon bowls that can be set at different temperatures, which means you can serve a cold drink from one bowl and a frozen drink from the other. 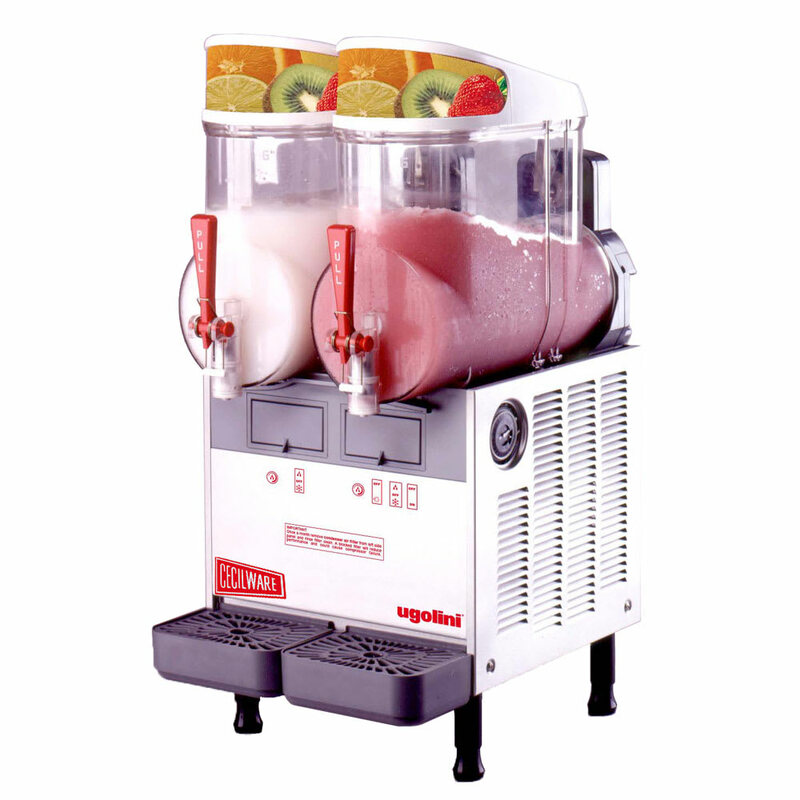 When freezing drinks, this machine works quickly with a dual-surface freezing chamber while the augers spin to freeze drinks quickly while keeping them clear of large ice blocks. The magnetic drive auger system reduces the number of necessary seals and lessens the chances of burnout to lower maintenance costs. There is also an overload protector that keeps the motor from overheating, and a filter indicator light to let the user know when the filter need cleaning. The bowl, auger, faucet assembly, and drip tray are all easy to remove, making it simple to keep your equipment cleaned and sanitized.